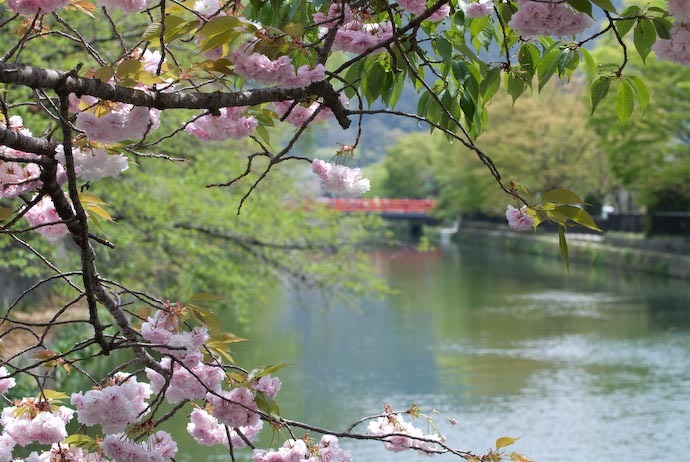 If you plan to be in Kyoto during cherry blossom season, book your accommodations WELL IN ADVANCE. Ideally, book several months in advance. If you wait until the last minute, you might find everyplace fully booked. 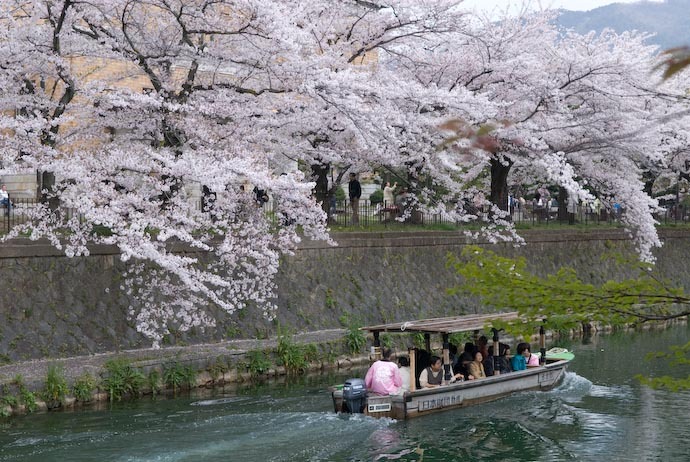 You can check current Kyoto hotel availability for mid-March to mid-April, when the cherry blossoms bloom, on Booking.com and Agoda.com. 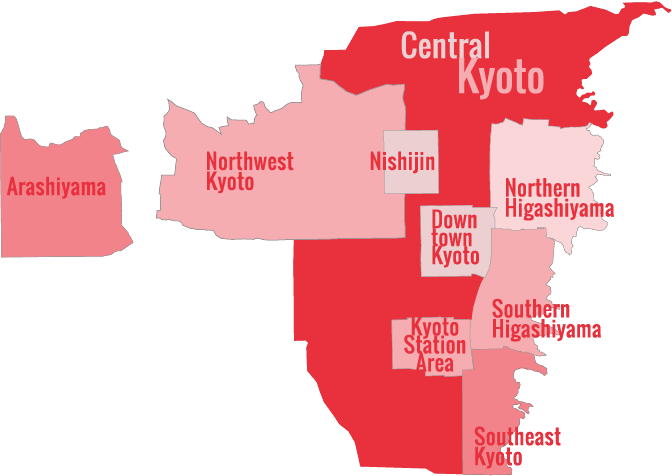 Please have a read of When Do The Cherry Blossoms Bloom In Kyoto to help you decide on the exact time to go. Aoi Kyoto Stay is a collection of beautifully restored Kyoto machiya (traditional townhouses) that have been converted into accommodations. The Kyoto Hotel Granvia is not only the best hotel in the Kyoto Station area, it’s also the most convenient, since it located directly above the station itself. The brand-new Best Western is an excellent mid-range hotel located in the heart of Kyoto’s downtown shopping district. Tawaraya is the finest ryokan in Kyoto and, arguably, the finest in all Japan. Private gardens and incredible attention to detail make it a very special Kyoto experience. Osaka has a lot of hotels and it’s less than 15 minutes from Osaka to Kyoto by shinkansen (bullet train) and about 45 minutes by regular express train. :: Check availability and pricing for hotels in Osaka on Booking.com or Agoda.com. Likewise, even Nagoya is within striking distance if you’re willing to take the shinkansen (no sweat if you’ve got a Japan Rail Pass). :: Check availability and pricing for hotels in Nagoya on Booking.com or Agoda.com. Nara would be another option. :: Check availability and pricing for hotels in Nara on Booking.com or Agoda.com. See my guide to Where To Stay If Kyoto Is Fully Booked for more suggestions and info.